I highly recommend using the Sketch Runner plugin to help speed up your workflow. 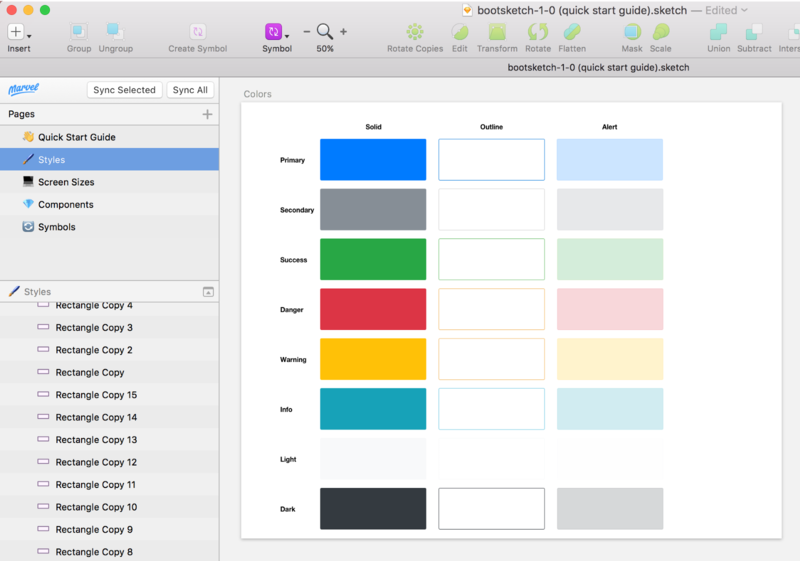 It’s kind of like Spotlight Search, but for Sketch. 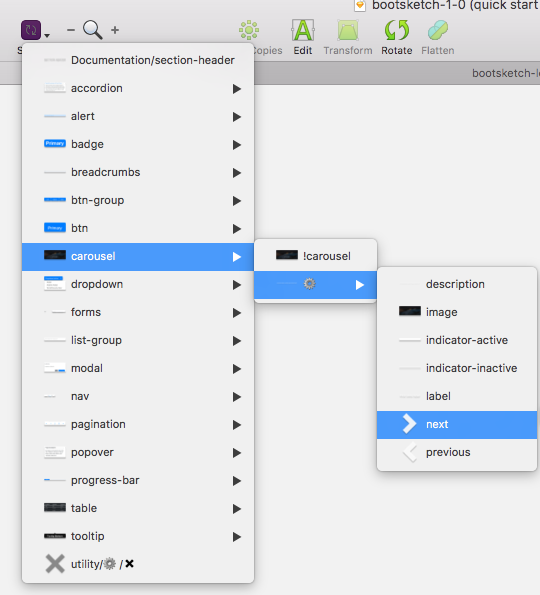 Instead of searching through the symbol menu dropdown, use Sketch Runner to initiate these commands without leaving the keyboard. 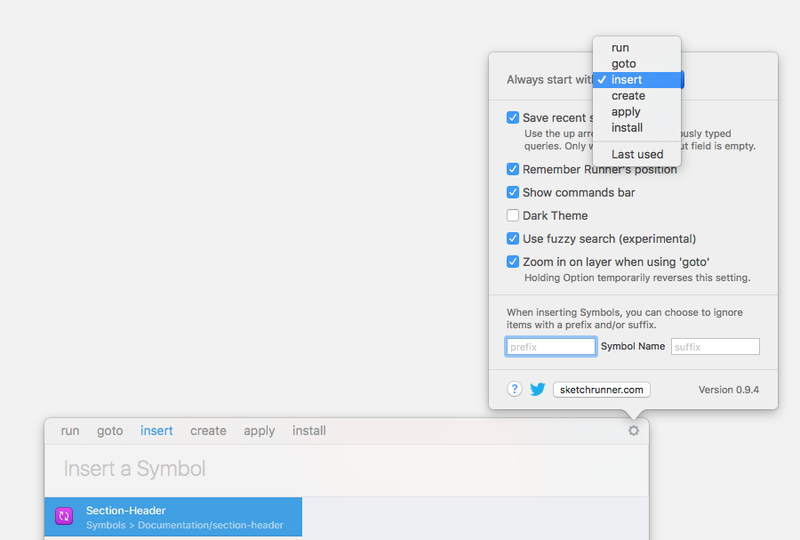 Use Sketch runner to do common tasks like search for symbols just by typing! 2. 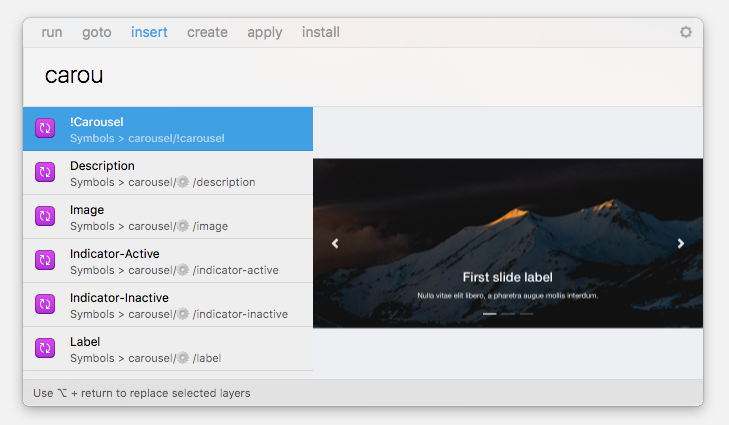 Unzip the download and you should see a .sketchplugin file. double click that file and it will install. 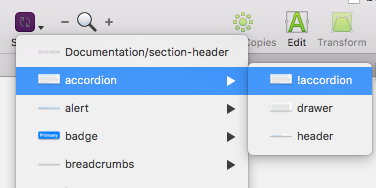 To initiate Sketch Runner type ( ⌘ ” ) That will bring up the Sketch Runner dialog. For our purposes we’ll be using the Insert option. Alternatively, you can change the settings to always launch Runner on the insert tab if you’d like. When on the insert tab, you can search for symbols within your current symbol library, or from a linked symbol library. 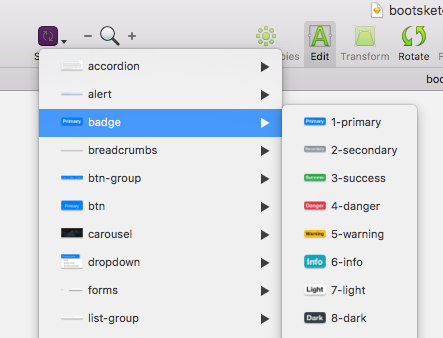 Each symbol is named according to the Bootstrap 4.0 documentation so you can quickly find what you’re looking for. Nested symbols like the dropdown, or accordion will be prefixed with a (!) so that it floats to the top of your menu and signifies that it is a complete symbol component. If you see the ⚙️ icon, that signifies there are multiple pieces in that symbol that make up a complete symbol. Symbols under the ⚙️ aren’t necessary useful on their own, but are part of a larger, more complete parent symbol. Colors used in each component are represented on the handy 🖌 Styles page for quick color changes and theme updates. Changing a color here updates all that color in all other instances. To update a color, click one of the color blocks, change the color and click the update icon next to the layer style. This will update all components connected to the solid/1-primary layer style. Check out the 🔁 Symbols page! Just like with colors, you can update your typography with a few adjustments. It might not be obvious at first, but all font alignments (left, center, and right aligned) are represented for each type. This will allow you to update font styles quickly. If you want to change the font family drag across the entire Typography Artboard and change the font via the Typeface select dropdown. Let’s say that you just want to change the color of the dark font to something else. Just highlight half of the panel and change the color. Changing individual headers is just as easy. Just be sure to select all alignments when you update an individual font. I hope that Bootsketch saves you hundreds of hours of work! If you see a bug, something you’d like to see in a future update, please let me know. Either via email or on the public Bootsketch Trello board.